Code Central polls every hour to verify that connected instances of Collector and Desktop have a valid license key. By default, a client license will remain valid for two days after the last ping from the Code Central server, a period known as the lease time. This lease time is to allow for a Collector or Desktop to be disconnected from Code Central while a user is traveling, performing maintenance, or otherwise temporarily disconnected from the network. Note: Two days is the default license grace period as set in the config, but it can be set as high as 10 days by modifying the < leaseTimeInDays > in the NCover.CodeCentral.exe.config. This parameter accepts whole numbers from 2 to 10. In situations where the number of licenses leaves no room for floating licenses or inactive clients, Code Central admin provides a way to release a license so that it can be used by another Collector or Desktop. Note: The next time the Code Central server polls for valid licenses, released clients will be prompted to register again. In the meantime, the released client is still functional in every way. The Users dialog is also where users are added and deleted, with admin privileges assigned. This list includes valid connected instances of both Collector and Desktop. 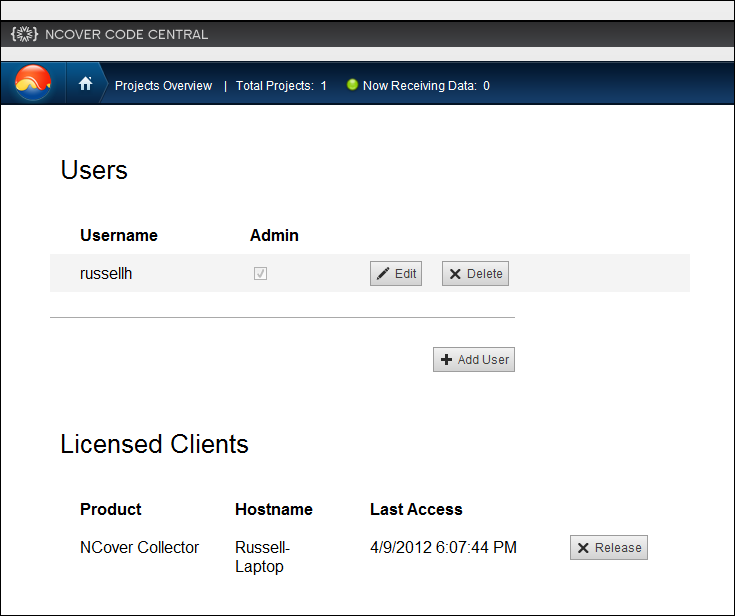 Last Access - A datetime field showing the last time coverage information from the client was sent to Code Central. 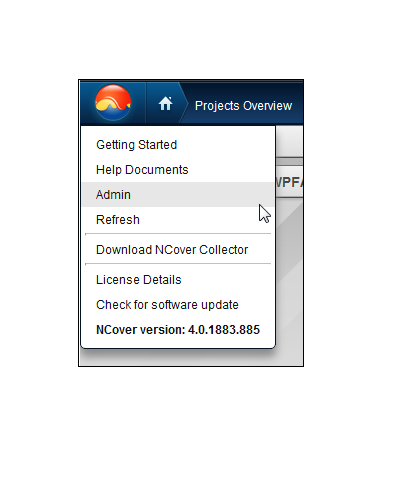 Click Release to relinquish the current license on the connected desktop/Collector so that the license code can be registered to another instance.